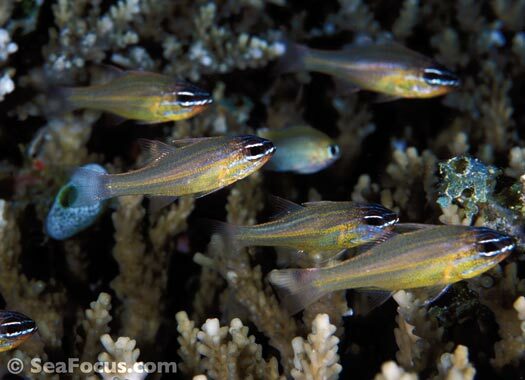 Cardinalfish include some 330 species in 24 genera but are something of an unknown creature in diver terms as they tend to be small and shy, often hiding on the reef. 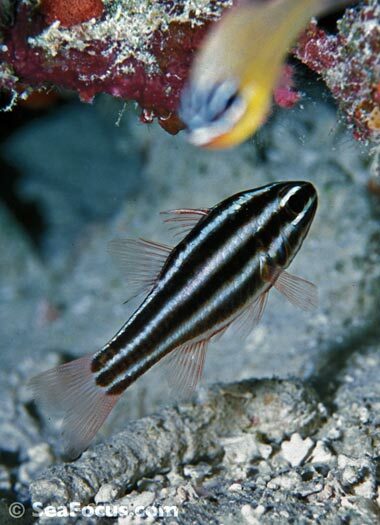 Cardinalfish are mainly marine fish although a few species are found in brackish and freshwater environments. 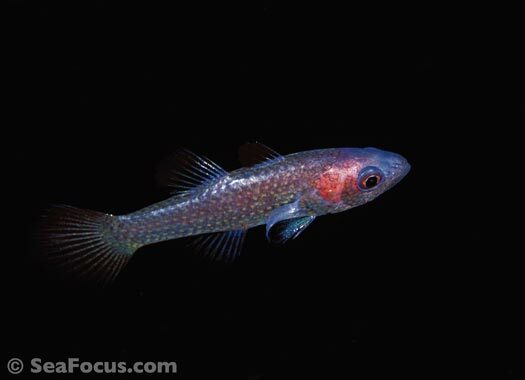 They are small fish, usually under 10 centimetres long and can be recognized by their big eyes, large mouth and the division of the dorsal fin into two separate fins. 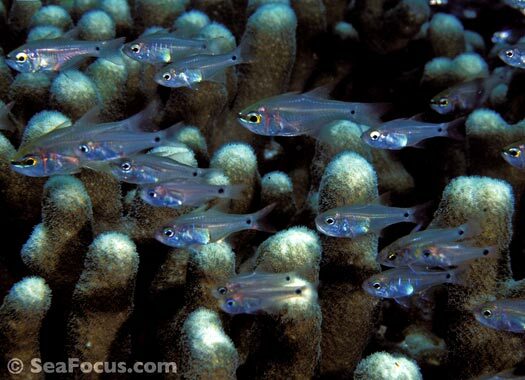 Cardinalfish tend to be homebodies, picking a nice looking patch or spot on the reef and then sticking to it. 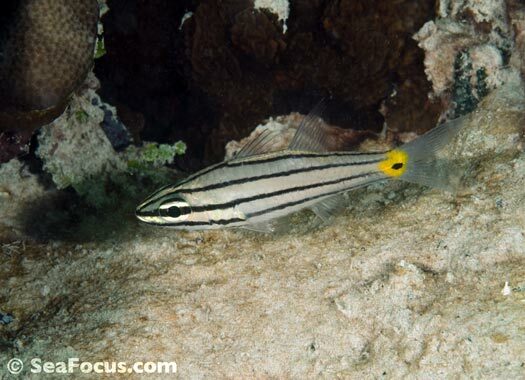 They are often described as nocturnal but this really means that during the day they shelter in small caves or dark crevices on the reef. 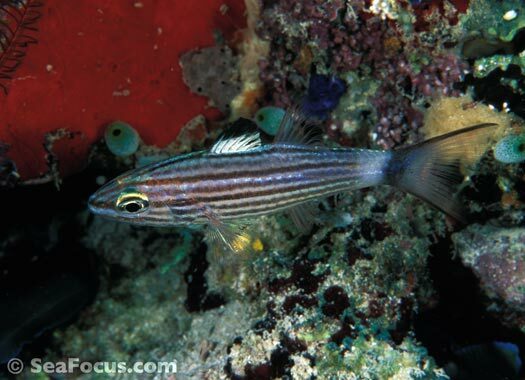 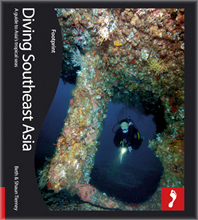 A few species live in a more exposed position, but often on a darker dive site like a muck site with dark sand. 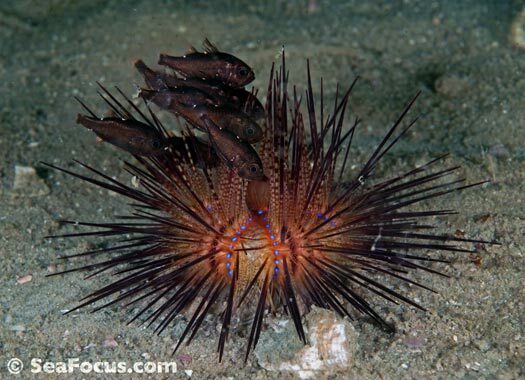 Many cardinafish will take refuge with other animals – in the spines of an urchin or the tentacles of a coral. 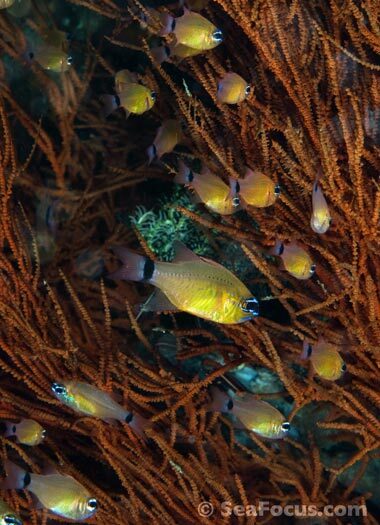 Many males in this family are mouthbrooders meaning they hold and brood their eggs inside their mouth until they are ready to hatch. 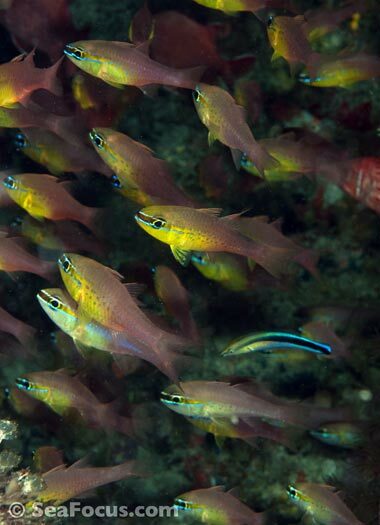 Cardinals are not regarded as threatened although many habitats are at risk. 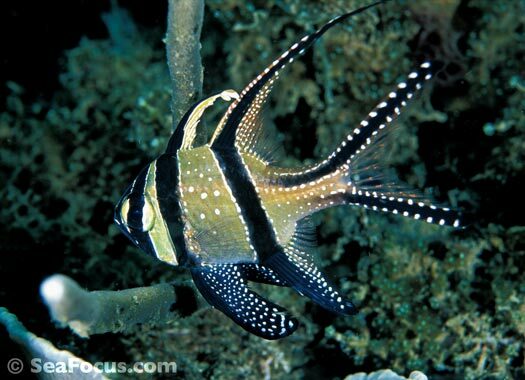 The exception is the Banggai cardinalfish. 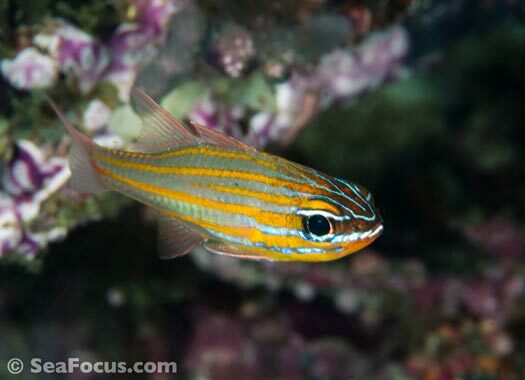 The story goes that a fishing boat travelling up the Lembeh Straits was carrying an illegal cargo of tropical fish bound for the aquarium trade. 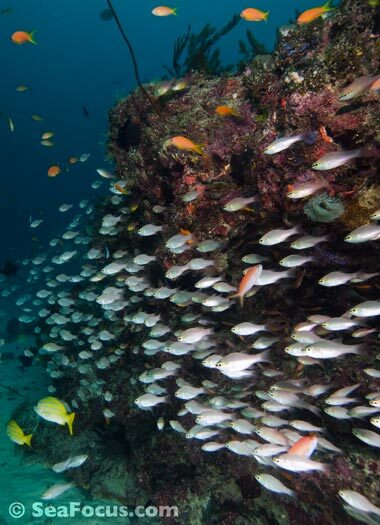 When the region’s marine patrol squad heard the rumour they signalled the ship to pull over to the police jetty. 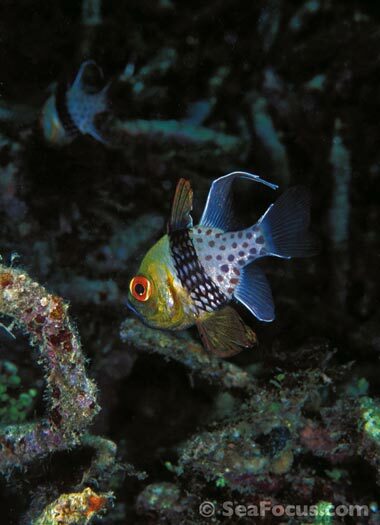 But by the time they boarded the cargo was gone – the Captain had dumped his freight of Banggai Cardinalfish but hadn’t realised that these are actually indigenous to the Banggai Islands. 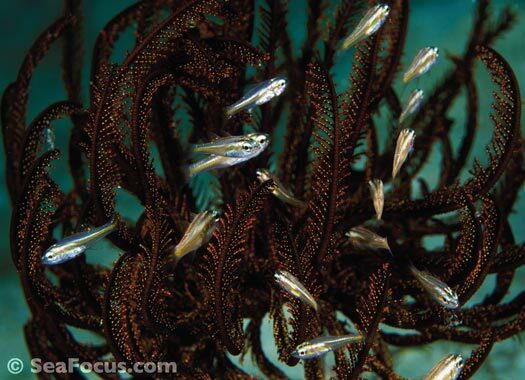 The evidence was swimming all around the pier and it was off to jail for the Captain and his crew! 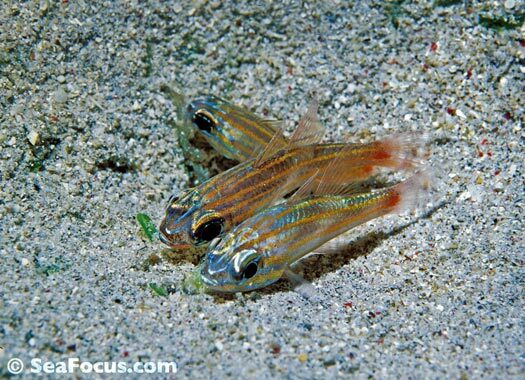 The Banggais are adaptable creatures though and now live happily on Police Pier dive site where they were dumped.